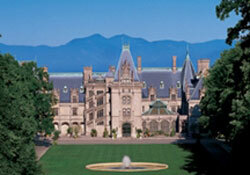 Asheville NC is known for having a lot of culture packed into a little city. Our downtown is alive and full of activities and shopping for every taste. We have everything from boutiques to funky little shops, and a wide variety of art galleries and venues for local artists. Thomas Wolfe Auditorium is home to the Asheville Symphony and we also have several local theatre groups that perform at the NC Stage Company, the Asheville Community Theatre, and Montford Park. Terpsichore Theatre of Dance is made up of some of the most talented dancers from large companies across the US who come together presenting summer productions in Asheville at Diana Wortham Theatre. If you are looking for a culinary experience, you could spend forever here, just sampling all the options! Asheville has a wealth of fabulous local restaurants for any taste, and is home to one of the premier culinary teaching programs in the country. And while you’re here, don’t forget the country’s largest private home, the Biltmore House, located on beautiful grounds within the Biltmore Estate. They offer tours of the home, spectacular gardens, excellent dining, an award-winning winery, a beautifully appointed Inn, and a range of outdoor activities, including equipment and guides if desired. The Grove Park Inn is a major historical landmark and was originally begun as a sanitarium for those seeking to take in the fresh mountain air. It is a stunning natural stone structure and features a main room with massive stone fireplaces, live music, and the Sunset Terrace Restaurant and Bar overlooking an amazing view of downtown Asheville and the mountains. They have added a world-class underground spa and a beautiful golf course for a vacation to please everyone in your group. Every year, downtown Asheville also presents Bele Chere, an annual street festival that draws thousands to the area. The downtown area is closed to traffic; and food, music and art take over the streets. Previous performers have included Kenny Wayne Shepherd, Gin Blossoms, the Marshall Tucker Band, and always many local musicians, with styles ranging from bluegrass to reggae.